In a new study published in Nature Communications, scientists led by Juana Díez show that the three main stages of the expression of our genes are interconnected through a common regulator, the protein Xrn1. A new study led by Juana Díez, principal investigator of the Department of Experimental and Health Sciences (DCEXS) at UPF, has found a new system in our cells that makes them more robust against possible alterations in the expression of our genes. The work was published yesterday, 21 March, in Nature Communications. The new study indicates that these three stages, classically considered as being isolated due to their different spatial and temporal incidence, are interconnected through a common regulator. 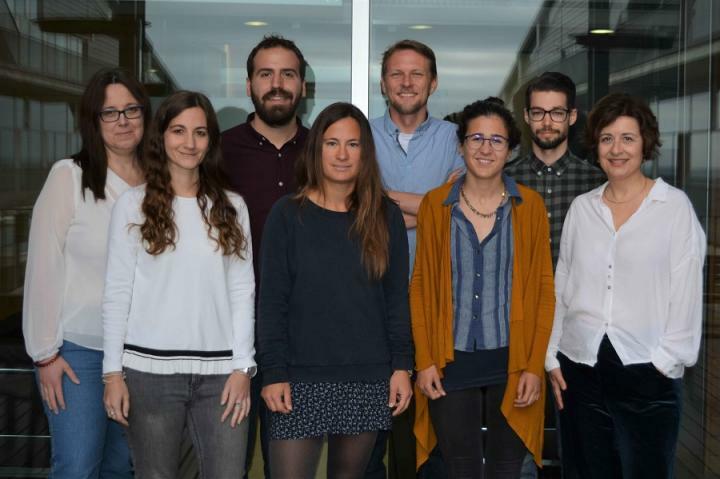 “Using Saccharomyces cerevisiae as a model, we have shown that the protein Xrn1, which plays a key role in the degradation of mRNAs, also regulates the transcription and translation of the mRNAs that encode membrane proteins”, says Juana Díez, leader of the Molecular Virology group at the DCEXS. Thus, the scientists have revealed a hitherto unknown role of Xrn1, which is a protein that is highly conserved in the eukaryotes. Also participating in the study are Baldomero Oliva, of the research group on Structural Bioinformatics of the Research Programme on Biomedical Informatics (GRIB), a joint programme between the DCEXS and the Mar Medical Research Institute (IMIM), and scientists from Technion – Israel Institute of Technology, of the Max Planck Institute for Molecular Biomedicine (Germany), and the University of Bern (Switzerland) and the University of Valencia.